Mary's Hotel is a very nice hotel right in the centre oh Paris. 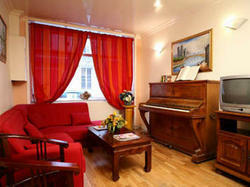 Located in a quiet street near "la Bastille". Gare du nord and gare de l'est as well as austerlitz or Gare de Lyon are accessible with no change thanks t "metro" or available "buses" near the Hotel. The breakfast will be given in the dinning room.